A diagram to assist moms in positioning babies to combat the sputtering and coughing that comes with a forceful letdown or oversupply. Great illustration! 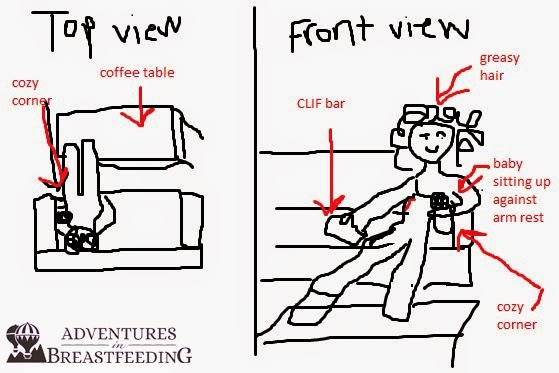 :) propping pillows under your lower back and leaning back so baby is more on top of the breast helps too.